search.sidecubes.com is the PUP that uses misleading techniques to prevent removal. Use Reimage to locate malicious components and get rid of them faster than with uninstall instructions. A full system scan blocks virus reappearance and prevents traffic to malicious domains. How can I protect my computer from this browser hijacker? Search.sidecubes.com virus infected my browser. How can I remove it? Search.sidecubes.com is a suspicious search engine created by Veristaff Ltd. SideCubes Search spreads like a useful Windows widget that allows searching, sharing and exploring the online content. This toolbar promises to show “the new ways to experience the web.” However, these ways are not worth experiencing. Cyber security experts classify this add-on as potentially unwanted program (PUP) and a browser hijacker. Thus, this search engine might replace your current search engine and default homepage without asking your direct permission. Search.sidecubes.com virus is capable of altering all browsers’ settings that are installed on machines running Windows OS. One of the main reasons why you should not trust this search tool is that it might be capable of altering search results. It uses its own search algorithm; thus, it allows delivering lots of sponsored content on the results page. As a consequence, you may be forced to visit various unknown websites that may be absolutely irrelevant to your search queries. However, the biggest concern is related to search.sidecubes.com redirect tendencies. Browser hijackers are often used by malware creators and other cyber criminals. Thus, one of the search results might lead you to the potentially dangerous website where crooks might be waiting for you. Although hijackers are not hazardous infections, they might arrange the meeting with ransomware, malware, or trojans. Search.sidecubes.com browser hijacker might also deliver commercial content in a form of, ads, banners or hyperlinks. Be aware that the purpose of these ads is the same – to redirect you to predetermined websites and gain certain profit. As a matter of fact, it may even earn money for selling information related to your browsing habits. This widget monitors non-personally identifiable information and may collect some of the personal data as well. 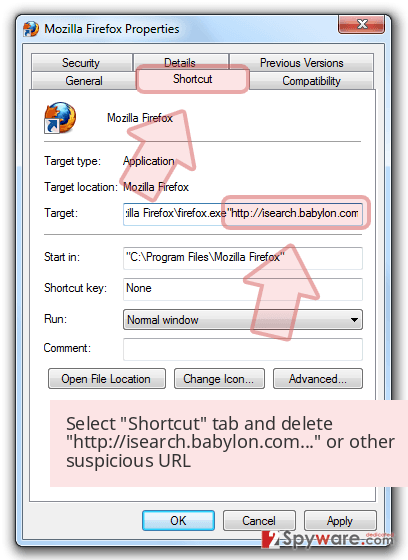 If this intruder has already hijacked your browser, find instructions below and remove Search.sidecubes.com right now to avoid various computer-related problems. We recommend scanning the computer with Reimage or other anti-malware programs. 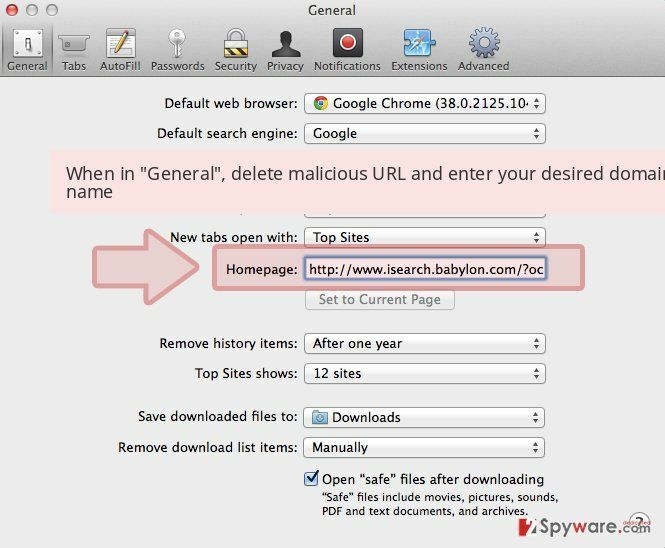 This elimination method helps not only get rid of this suspicious search engine but also wipe out other PUPs that might have been installed on your PC too. However, if you are interested in manual Search.sidecubes.com removal option, please follow our prepared instructions carefully. Search.sidecubes.com search engine might appear on your browser after incorrect freeware or shareware installation. If you want to avoid search.sidecubes.com hijack and similar programs, beware that it’s all in your hands. This browser plug-in usually is bundled with various freeware and misleadingly indicated as a “recommended download,” “additional component” and so on. “Bundling” is a common technique that is mainly employed by free software creators in order to increase income. Thus, there is a long list of bundled freeware, and you have to be very careful installing them if you want to secure your PC from undesired programs. Fortunately, even though you have downloaded a bundled program, you will be allowed to deselect additional downloads, such as browser add-ons, plug-ins, toolbars or extensions. For this, you have to select Advanced or Custom installation option and take your time reading every notification. You may notice one or several check boxes stating that you agree with the installation of an additional program, or agree to set search.sidecubes.com as your default search engine/homepage. It goes without saying that you have to opt out of such suggestions. If you have already allowed your browser to be hijacked, remove the program that causes it. Nevertheless, Search.sidecubes.com virus cannot damage your computer or corrupt your personal files; it should not be kept for a long on a system. Browser hijackers are often capable of installing third-party applications or tracking cookies. Thus, browsing the Internet might become unbearable because of various ads or redirects to the questionable websites. However, the fact that this toolbar might collect information and use it against you should motivate you to remove Search.sidecubes.com immediately. If you tried to get rid of this search engine, probably you have noticed that simply replacing this domain with another one does not help. Thus, follow the instructions below if you want to terminate this pest manually. However, we recommend opting for automatic Search.sidecubes.com removal option. Scanning the system with reputable anti-malware tool assures that all suspicious entries are eliminated from the computer entirely. Follow the instructions to remove Search.sidecubes.com entirely from the system and web browsers. We also suggest looking up for other unknown applications that might have been installed on your PC without your knowledge. Here, look for search.sidecubes.com or any other recently installed suspicious programs. Wait until you see Applications folder and look for search.sidecubes.com or any other suspicious programs on it. Now right click on every of such entries and select Move to Trash. 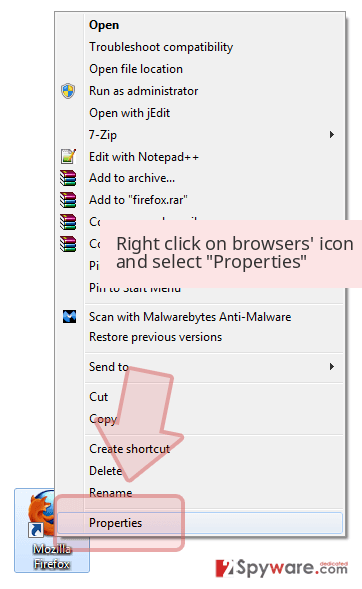 After Search.sidecubes.com hijack, you need to reset Internet Explorer in order to set your preferred search engine and homepage address. When in the new window, check Delete personal settings and select Reset again to complete search.sidecubes.com removal. Once these steps are finished, search.sidecubes.com should be removed from your Microsoft Edge browser. 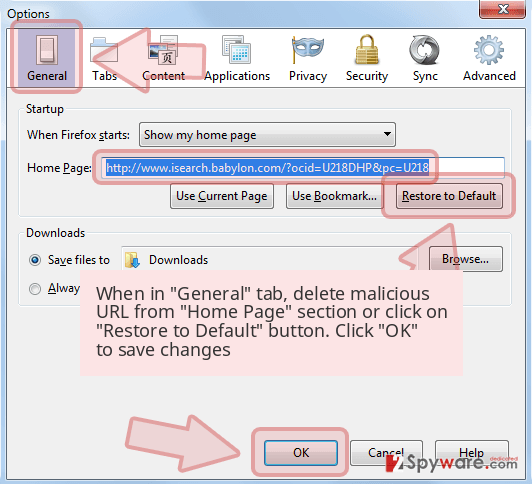 Search.sidecubes.com browser hijacker might have expanded the list of Firefox extensions. Thus, you need not only uninstall this add-on but other suspicious entries as well. Also, reset browser’s settings. Here, select search.sidecubes.com and other questionable plugins. Click Remove to delete these entries. Now you will see Reset Firefox to its default state message with Reset Firefox button. Click this button for several times and complete search.sidecubes.com removal. 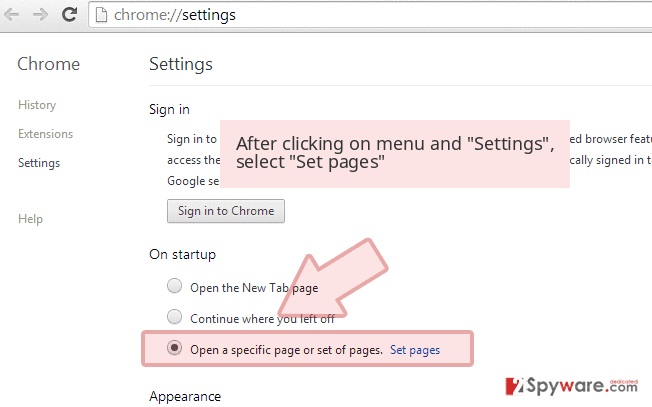 Search.sidecubes.com removal requires eliminating this browser add-on and resetting Google Chrome’s settings. Here, select search.sidecubes.com and other malicious plugins and select trash icon to delete these entries. Click Reset to confirm this action and complete search.sidecubes.com removal. Here, select Extensions and look for search.sidecubes.com or other suspicious entries. Click on the Uninstall button to get rid each of them. Here, look at the Homepage field. If it was altered by search.sidecubes.com, remove unwanted link and enter the one that you want to use for your searches. Remember to include the "http://" before typing in the address of the page. Now you will see a detailed dialog window filled with reset options. All of those options are usually checked, but you can specify which of them you want to reset. Click the Reset button to complete search.sidecubes.com removal process. ^ Daniel Mumby. What is ransomware and how do you avoid getting it on your computer?. Somerset Live. UK News and World News Website. ^ Trojans – myths & facts. Emsisoft Blog. The blog about latest IT news, viruses, and cyber security. ^ Your browsing history may be up for sale soon. Here's what you need to know. The Guardian. News, sport and opinion from the Guardian's US edition. This entry was posted on 2017-04-05 at 04:00 and is filed under Stealing programs, Viruses. You can quickly scan the QR code with your mobile device and have search.sidecubes.com manual removal instructions right in your pocket. How did you remove search.sidecubes.com?